A pioneer in sustainable Fair Trade fashion, our story started in 1991. The core mission has stayed the same over the past three decades since award-winning social entrepreneur Safia Minney founded the company. Every product is made to the highest ethical and environmental standards from start to finish. Contemporary, versatile designs and playful, exclusive prints inspired by the V&A archives create stylish, innovative and affordable fashion while respecting people and the planet. Collections featuring organic cotton, TENCEL™ Lyocell and responsible wool, are made using traditional artisan skills such as hand weaving, hand knitting, hand embroidery and hand block printing. 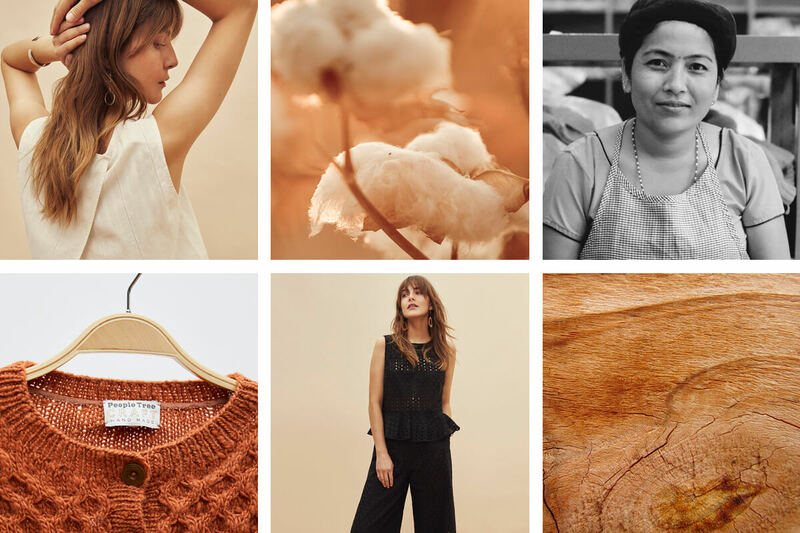 We launched our first fashion range to meet the Global Organic Textile Standard certified by the Soil Association and were the first fashion company to be awarded the World Fair Trade Organisation product label. These certifications guarantee People Tree’s dedication and compliance to the principles of fair trade, covering fair wages, good working conditions, transparency, environmental best practice and gender equality. People Tree actively supports farmers, producers and artisans through 14 producer groups, in 6 countries. We are a part of the WFTO community and a representative of Fair Trade, this means far more than paying a fair price, we provide technical assistance for producers, so they can improve their skills, strengthen their businesses and have a positive social impact. It is a partnership between producers and traders, which aims at sustainable development for excluded and economically disadvantaged people in developing countries. Our producers use traditional skills and combine them with new innovative technologies to support and grow their businesses. By using skills such as hand weaving, hand knitting or hand embroidery we create employment in rural areas where work is often scarce. All clothes are dyed using low impact dyes, free from harmful azo chemicals which are frequently used in clothing manufacture. We use natural materials where possible, avoiding plastic and toxic substances.